What’s health care got to do with oil and gas drilling in the Arctic National Wildlife Refuge (ANWR)? Well, quite a bit, actually—but that’s not why Republicans lumped the two together into their tax reform bill. The GOP’s been working up a devious scheme to restructure the tax code for weeks now. They finally released a $1.5 trillion plan earlier this month, on November 2, and now two bills have been making their way through the House and Senate. The House passed the bill Thursday in a 227-205 vote. 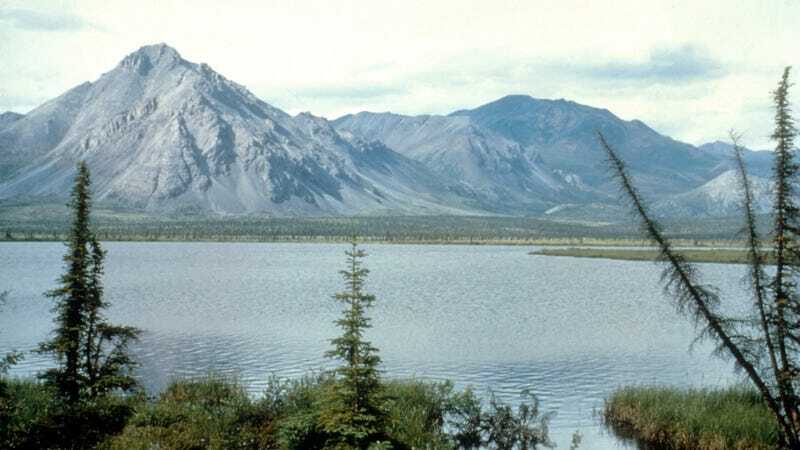 In the Senate, the bill’s been packaged with another one, championed by Alaskan Senator Lisa Murkowski, to allow oil and gas drilling in the coastal plain of the 19-million acre ANWR. The Republican senator argues drilling would help raise the $1 billion in federal revenue the 2018 federal budget requires of the Senate Energy and Natural Resources Committee, which she chairs. Her bill passed Wednesday with a 13-10 vote. “Opening a small part of [the 2,000 federal acres in the non-wilderness portion of the ANWR] for responsible energy development will create thousands of good jobs, keep energy affordable for families and businesses, ensure a steady long-term supply of American energy, generate new wealth, reduce the federal deficit, and strengthen our national security,” Murkowski said, in a press release. Environmentalists, Alaska Natives like the Gwich’in, and even nuns disagree. They don’t want to see any segment of the ANWR opened up to drilling. The refuge’s been around since 1960, and exists to protect fauna and flora, and to ensure people like the Gwich’in can continue to live off the land and animals. Animals like the Porcupine River caribou. The caribou call the refuge home and calve on the ANWR’s coastal plain. Global warming is already threatening the animal’s well-being; drilling would just increase the risks, environmentalists argue. Many environmentalists criticized the Murkowski’s effort to tie drilling in ANWR to a tax bill, calling it a “shameless hijacking of the federal budget process.” But it’s not the only contentious issue riding on GOP tax reform: Senators released the latest version of their bill Tuesday night, and it includes a repeal of the Affordable Care Act’s individual mandate. This is the requirement that charges a fee to individuals who can afford a health care plan but don’t buy one. And as much as Murkowski is pro-drilling, she’s also pro-health care and has been an adamant opponent to President Donald Trump’s attempts to dismantle Obamacare. With the mandate repeal included in the greater tax package, Murkowski is now forced to choose: fossil fuel cash or affordable health coverage? Losing the individual mandate doesn’t mean a definitive end to the Affordable Care Act aka Obamacare, but proponents say the mandate is “essential” to making Obamacare work, per Reuters. It would definitely cause people to pay higher premiums, as the Congressional Budget Office found. According to the CBO, four million fewer Americans would have health insurance in 2019, and many would wait to buy health care until they’re sick. In Alaska, health care is already a struggle. More than 15 percent of Alaskans were without insurance between 2011 and 2015, according to Census numbers. That’s more than 111,00 people. Alaskans are more likely to be uninsured than most other people in the U.S., too: The state ranked No. 2 in the country for its uninsured rate in 2016. It’s no wonder Murkowski has been fighting Trumpcare in the Senate. With this bill, she’ll have to choose between that fight and drilling. She can’t win both. When Earther reached out to her office for comment, Communications Director Karina Peterson pointed us toward her prior statements on Obamacare that show Murkowski’s “hopefulness in progress towards reforming the current flawed healthcare system.” The senator wants to see healthcare that reduces costs and increases access. The Republican base must convince more than just Murkowski that repealing the individual mandate is a good idea. At least one other Republican senator, Ron Johnson of Wisconsin, ain’t about that life, either. This post has been updated to add comment from Senator Murkowski’s office.